The MetalCloak JK Wrangler Game-Changing Mid Arm Suspension System beats most long-arm kits in travel, articulation and flex at a fraction of the overall cost. Period. Featuring the latest in suspension technology including the 6Pak™ Long Travel Shocks, MetalCloak True Dual Rate™ Coils, Duroflex™ Control Arms with our patent pending Duroflex Joint, and patented front & rear Durotrak Solid Chromoly Track Bars (metalcloakpatents.com). No matter how you stack it up, our system cannot be beat. And we can prove it. Bolts on into Stock Mounts! 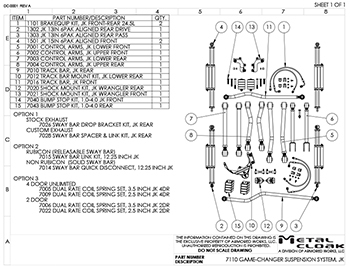 Note: All 2012+ JK Wrangler will require exhaust spacers (7078)for clearance for the front drive shaft. 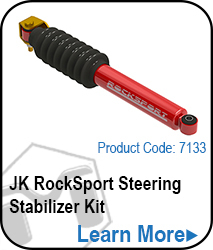 The JK Wrangler Ultimate Travel Mid-Arm bolt-on suspension system, provides the most travel for a bolt-on system in the history of aftermarket suspensions. Period. This is our ultimate kit. Containing all our Game-Changing suspension products. Just for you. Kit comes with MetalCloak’s revolutionary 6Pak shock. 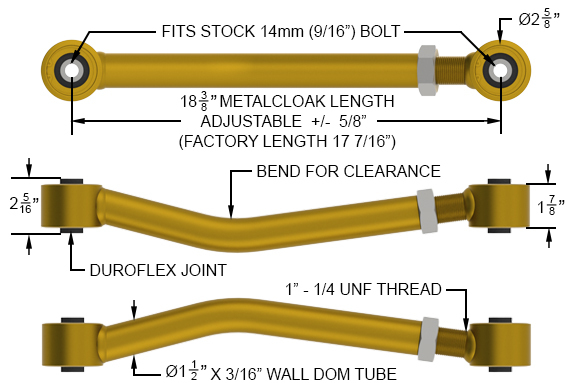 Extended brake lines are longer than typical lines on a 3.5″ kit. 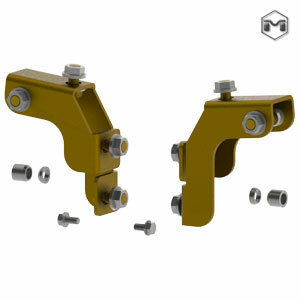 Full Duroflex Control arms for unprecedented articulation and on road vibration dampening. Adjustable bump stops ensure you’ll have the correct bump every time. 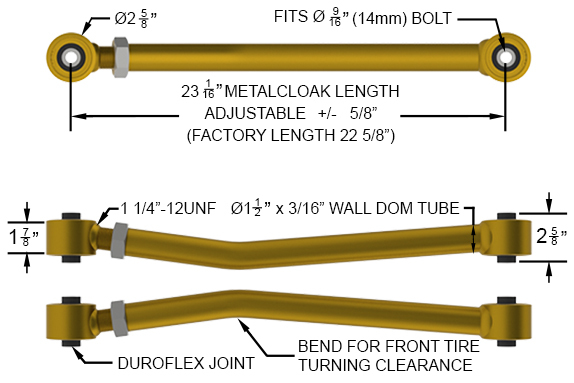 Fully Adjustable Solid Chromoly front Durotrak track bar increases ride stability. Fully Adjustable Solid Chromoly Durotrak Rear track bar provides both up and down travel clearance. 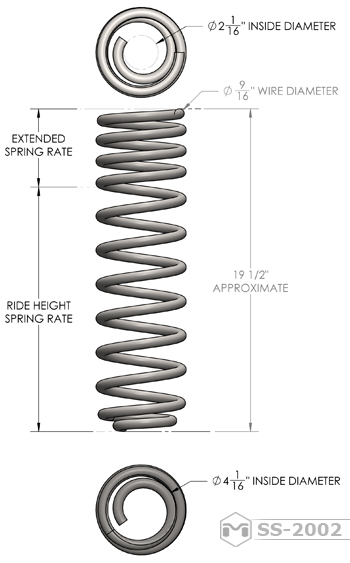 The design of the 6Pak didn’t just revolutionize shocks, it changed the suspension game forever. The MetalCloak Patented 6Pak™ ( metalcloakpatents.com) provides the longest shock travel relative to a compressed length for any off-road shock ever built in history, period. MetalCloak’s Long-Travel Shock Technology provides a game-changing platform featuring parallel shafts extending from a floating body, centralized by dual opposing reservoirs; this revolutionary feature allows for twice the usual stroke over typical industry shocks. 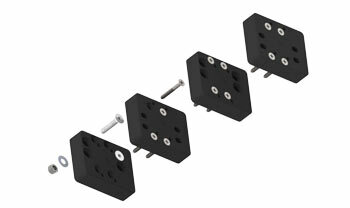 Now the problems of low-hanging shocks or limited travel because of your shock body are fully and completely eliminated. 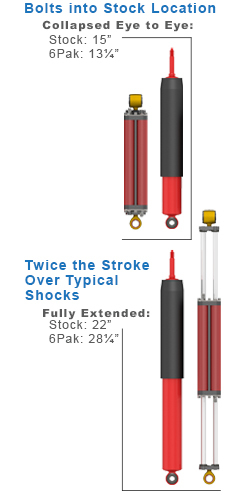 The shock is no longer the limiting factor in your build. 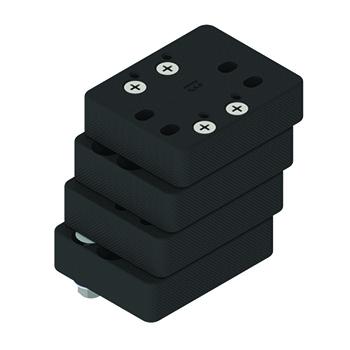 HOW DO YOU MOUNT THE 6PAKS? JUST BOLT ‘EM IN… SERIOUSLY. 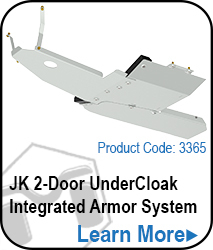 The 6Pak Shock Mounting Kits for the JK Wrangler are simple. Easy. Period. LONGER SHOCKS AND MORE CLEARANCE! 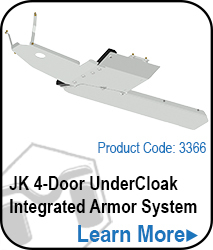 Up to 3″ of the stock JK shock mount is eliminated with the 6Pak Shock Mount System. That’s 3″ added to your departure angle. 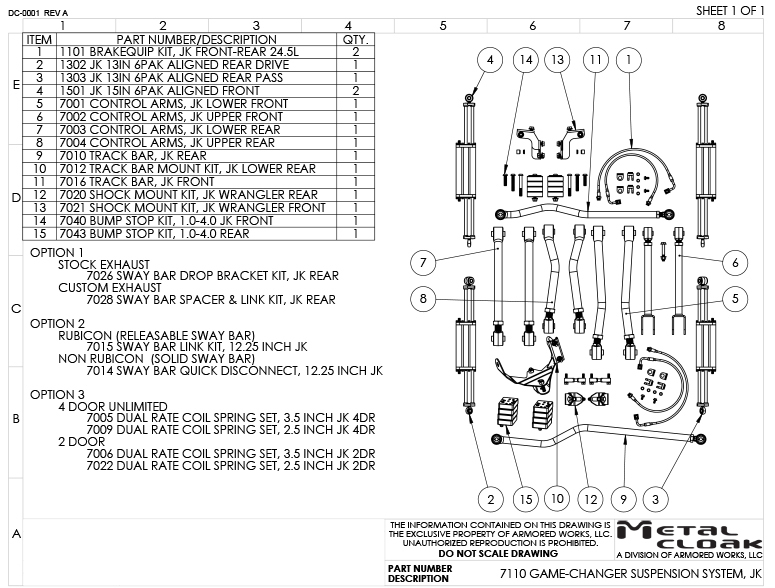 At MetalCloak we take the care to build every product right. 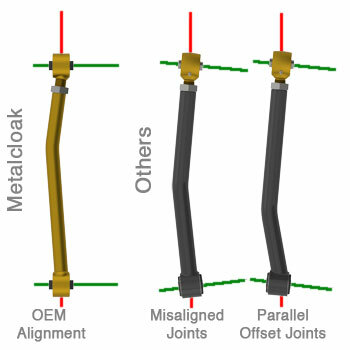 Most manufacturers build their control arms misaligned from center. Why? It simply costs less to do so. 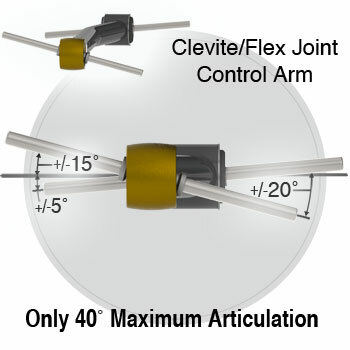 By not cutting any corners, our joints are Centered and Alignedreducing wear and improving performance. It makes them easier to install, too! 68 DEGREES OF MISALIGNMENT. THAT MAKES IT FLEXY. 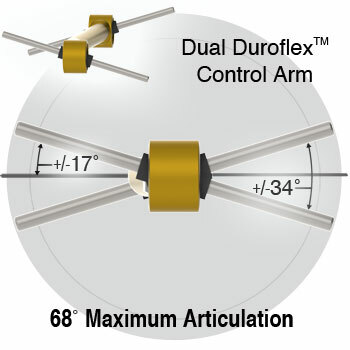 The Patent Pending Duroflex™ Joint ( metalcloakpatents.com) is the key to getting the greatest flex in a JK Wrangler bolt-on suspension kit. Period. 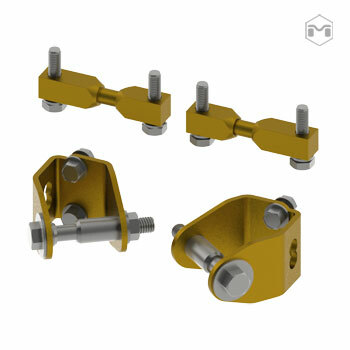 MetalCloak has taken the best features of the most widely used control arm joints and combined those features to create the Duroflex Joint, producing a Low-Maintenance, High-Misalignment (34˚), Self-Centering, Rebuildable Joint with an OEM quality ride. 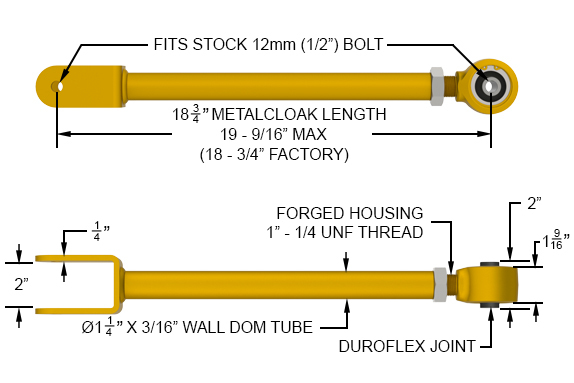 MetalCloak’s Duroflex Joint provides 28˚ more articulation and flex than typical control arms! Our Adjustable Bump-Stop removes the guess work on your Jeep and lets you build the bump stop you need, when you need it. Manufactured from trail-proven natural thermoset rubber, each puck is designed to work universally with your JK Wrangler. The Patented Durotrak ™ Bushing (metalcloakpatents.com) is a NVH (noise, vibration, harshness) bushing made with a proprietary rubber compound unique to MetalCloak. 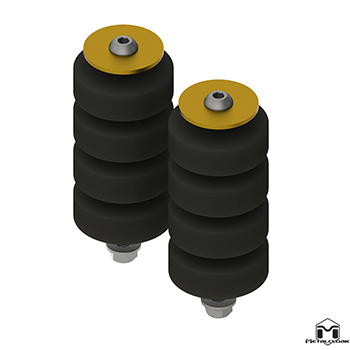 The Durotrak™ two part bushing is comprised of two pieces that thread together making this bushing simple to install without a press, reduces vibration and harshness transferred to the driver, and improves vehicle steering input. SOLID CHROMOLY DUROTRAK FRONT TRACK BAR KEEPS YOU… WELL… ON TRACK. 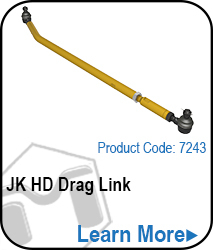 Formed for ultimate Up-Travel & Down-Travel the JK Wrangler Front Track Bar gives unprecedented strength, clearance, and improved ride stability. 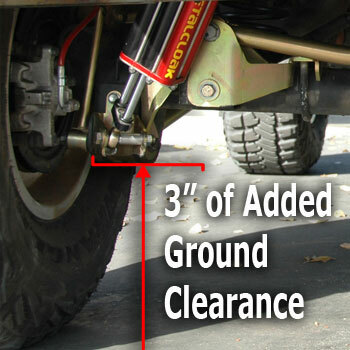 JK WRANGLER DUROTRAK REAR TRACK BAR – A FIRST IN HI-CLEARANCE! 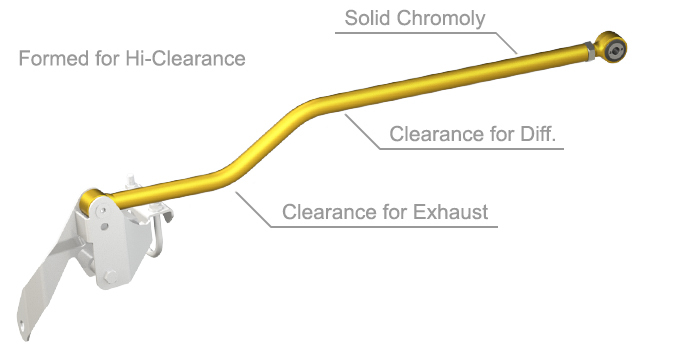 The Solid Chromoly track bar is uniquely designed to clear on up-travel as well as downtravel. No other track bar is designed with up-travel in mind. 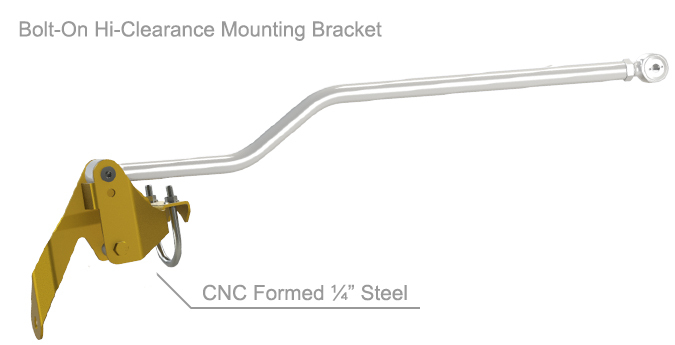 The bolt-on relocation and clearance bracket provides an easy to install solution that keeps the track bar… on track. 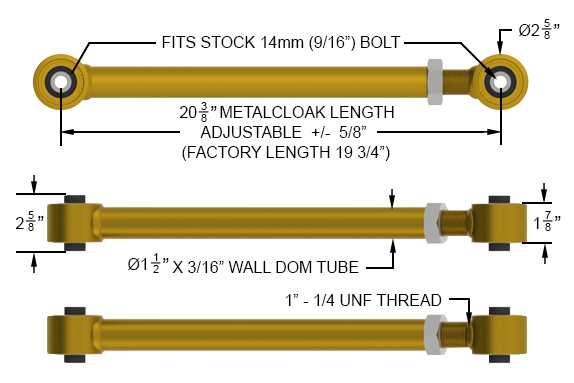 From the Teflon Inner Core, to the Stainless Steel Braid and Poly Safety Coat, the MetalCloak replacement Brake Lines are the best available on the market today. 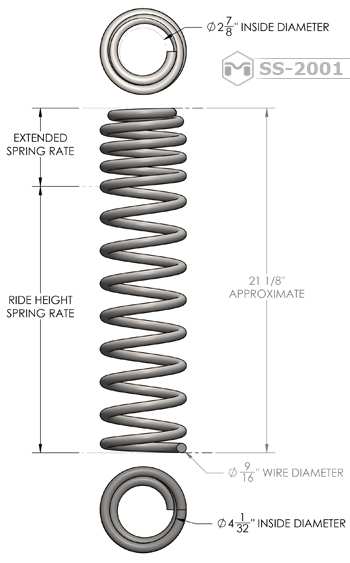 Longer then typical brake lines of similar lift heights because of our additional clearance and travel.